PATRICK J. MICHAELS and PAUL C. "CHIP" KNAPPENBERGER have hit the nail on the head again with their latest column for the CATO institute. 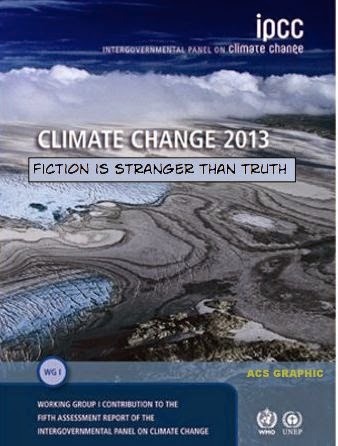 When it comes to global warming, facts often take a back seat to fiction. This is especially true with proclamations coming from the White House. We have documented this low regard for the facts (some might say, deception) on many occasions, but recently we have uncovered a particularly clear example where the IPCC’s ideology trumps the plain facts, giving the impression that climate models perform a lot better than they actually do. This is an important façade for the IPCC to keep up, for without the overheated climate model projections of future climate change, the issue would be a lot less politically interesting (and government money could be used for other things … or simply not taken from taxpayers in the first place). What is the cost of this deception, this obfuscation? The IPCC is harming the public health and welfare of all humankind as it pressures governments to seek to limit energy choices instead of seeking ways to help expand energy availability (or, one would hope, just stay out of the market). Everyone knows that global warming (as represented by the rise in the earth’s average surface temperature) has stopped for nearly two decades now. Taking the IPCC at its word is not a good idea.